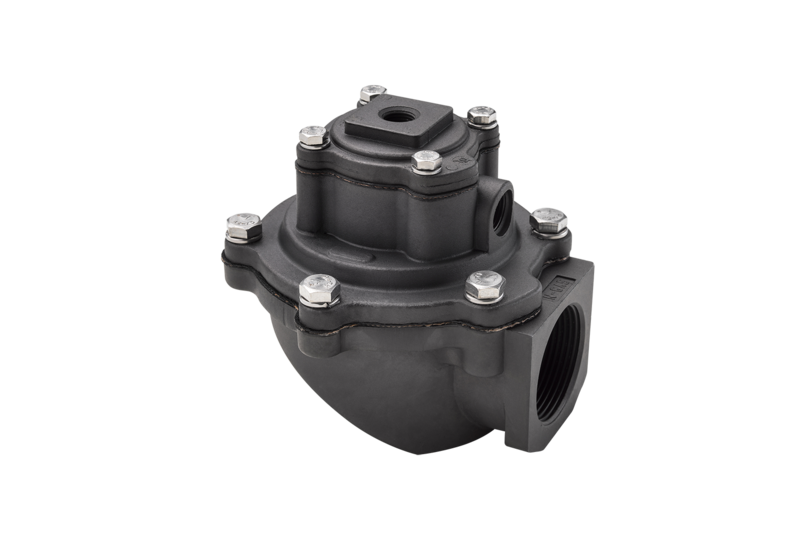 The threaded valves of the Goyen T series and the Mecair 200 series set the global standard in high-performance reverse pulse jet valves. 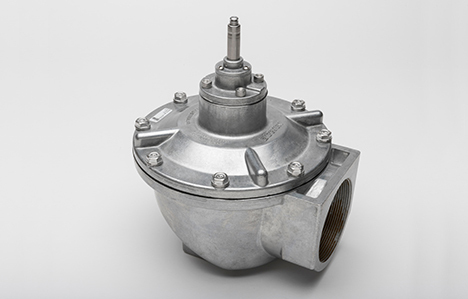 The diaphragm valves with threaded ports are designed for the filter cleaning of dust collectors and baghouses in reverse pulse jet systems. With the Goyen and Mecair brands, Pentair is the global market leader in the design and manufacturing of reverse pulse jet valves in dust collectors. 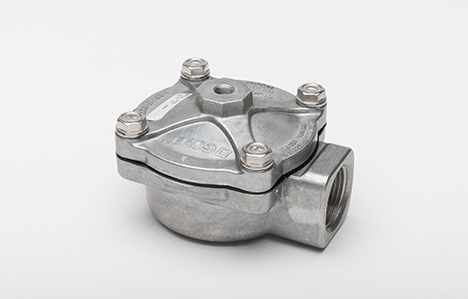 Our threaded valves are manufactured from aluminum in a high-pressure die cast process. Also available in stainless steel, the Goyen T-series is designed to operate with air pressures from 0.3 to 8.6 bar, while the Mecair 200 series ranges from 0.5 to 7.5 bar. 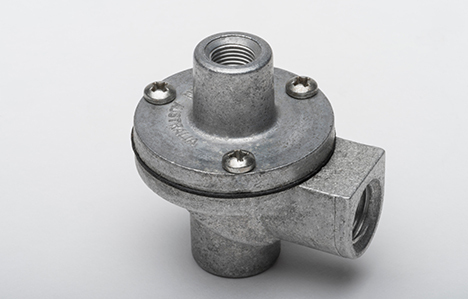 These threaded valves can be orientated in any position other than upside down or inverted. The Mecair design assures an extremely fast opening and closing time, high flow rates and easy installation. These valves are anodised for extra corrosion protection, with bolts and screws in stainless steel. They are available with integrated solenoid pilots or remote pneumatic connections. Goyen T and Mecair 200 are allround series of high-performance threaded valves for reverse pulse jet systems in dust collectors. They are used around the world to frequently clean the filters in systems aiming to control the dispersion of noxious substances, improve indoor air quality in workplaces, or prevent harmful dust emissions. All Pentair products are backed by an experienced team of engineers able to provide unmatched levels of customer support with technical services and practical tools. The award-winning (ABA100) GOCO is a diagnostic and system modelling service for your reverse pulse filter cleaning systems. As it can optimize system parameters at the touch of a button, GOCO takes all guesswork out of engineering filter cleaning systems. It also ensures optimum performance and extends the lifespan of your filters. Simply contact us to get started with GOCO. ATEX II 3 D (94/9/CE); when used with the approved integrated solenoid pilot model VEM+PV 24V/DCX (solenoid coil is 24 V-DC/18 W and DIN connector in conformity with the ATEX Directive 94/9/CE) (PLG11-ATEX). The overview shows different types of Threaded Valves.